Fox Sports likes to take advantage of their personalities to make unique commercials. You've got Gus Johnson exploding, the Gus effect, Jay Glazer as the ideal wingman, and my personal favorite, Tim McCarver in Auto-Tune. 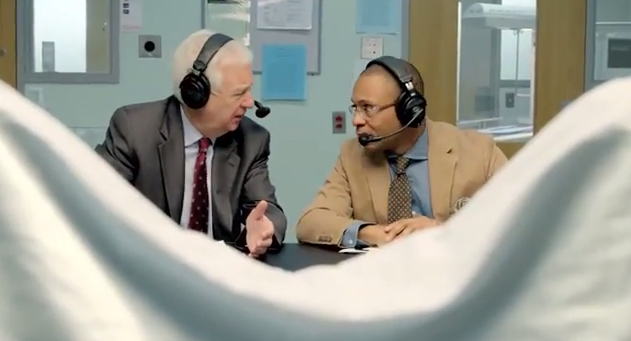 But this one, featuring the aforementioned Johnson and the great Bill Raftery, this is just bizarre. Let's go to the videotape.